Aitutaki itself is paradise, beautiful weather and picturesque. Aitutaki Lagoon Resort and Spa is also beautiful but VERY expensive. Thank you for the upgrade to the overwater bungalow, it was gorgeous and we felt very spoilt. 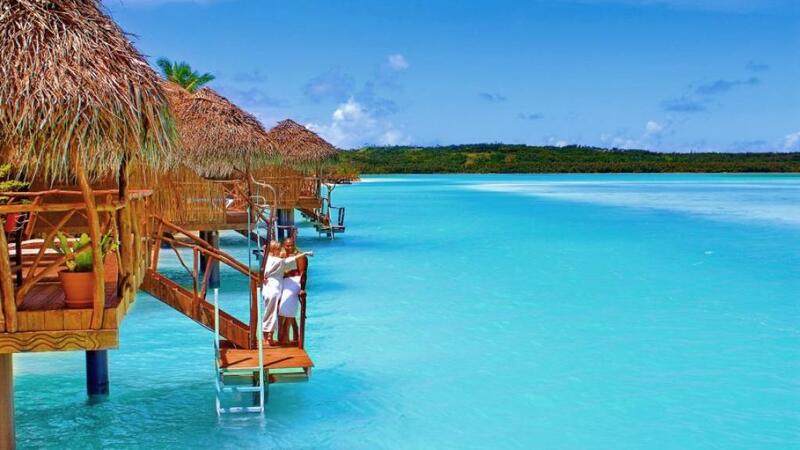 In saying that the resort is expensive, all of Aitutaki is expensive for accommodation and it is simply something that has to be accepted if you want to visit and stay. Absolutely LOVED the place, staff and everything about it. We liked everything at the resort: accommodation (stayed in deluxe beachfront - wonderful), service, location, very good food (including fresh salads), very helpful and approachable management. The location says it all about this resort and the attitude of the staff was another plus. All staff were friendly, helpful and welcoming. The breakfast was inviting and other meals of a good standard. This is a resort I would recommend with confidence.